Bhavin is a Consultant and Specialist in Orthodontics. He was awarded his Fellowship in Orthodontics by the Royal College of Surgeons of England. This is the highest accreditation achievable in the speciality of orthodontics in the UK and is also a requirement in order to be appointed as a Consultant within the NHS. As Specialist orthodontist, he is able to comprehensively assess, diagnose, treatment plan and carry out all types of orthodontic treatment. This includes using appliance systems such as Damon, Aligners such as Invisalign, Lingual appliances (WIN) and conventional labial bracket systems with aesthetic brackets. Bhavin graduated from Guys Hospital, London where he obtained his BDS degree with Honours. During his training he received 5 Distinctions and 4 prizes including the London Bursary Prize for exceptional performance in Paediatric and Orthodontic Dentistry. After completing his vocational training as a General Dentist, he was awarded Membership of the Joint Dental Faculties of the Royal College of Surgeons. Following appointments as a Senior House Officer in the department of Oral and Maxillofacial Surgery – North West London Hospital Trust, he joined the Paediatric Dental department at Great Ormond Street Hospital as a Senior House officer in Paediatric dentistry. During this time, Bhavin gained valuable experience and skills in the management medically compromised children. He was then accepted onto the orthodontics specialist program at the Royal London Dental Hospital (where he was appointed as a Specialist Registrar), and where he completed a Master’s degree in Orthodontics. During that time he was additionally awarded his Membership in orthodontics by the Royal College of Surgeons of England. This signified the completion of his formal training as an Orthodontist. This lead to his inclusion on the General Dental Council Register as a Specialist in orthodontics. A further two years training up to Consultant level lead to him achieving his Fellowship in orthodontics. This means Bhavin has the training and experience to treat complex cases within the hospital setting and to collaborate with colleagues when a multi-disciplinary approach is required. Bhavin has a deep seated commitment to an evidenced based approach. This ensures that the treatment he performs on his orthodontic patients are at the forefront of recognised and predictable orthodontics. This approach also helps him achieve the most positive and stable outcome as possible for his patients. His enthusiasm for the benefits that can be achieved through orthodontics is based on the positive outcomes he has observed on patients he has treated over the years. As a clear communicator he is passionate in helping all his patients make very well informed choices and he is always mindful to ensure his patients feel at ease and comfortable at all times. 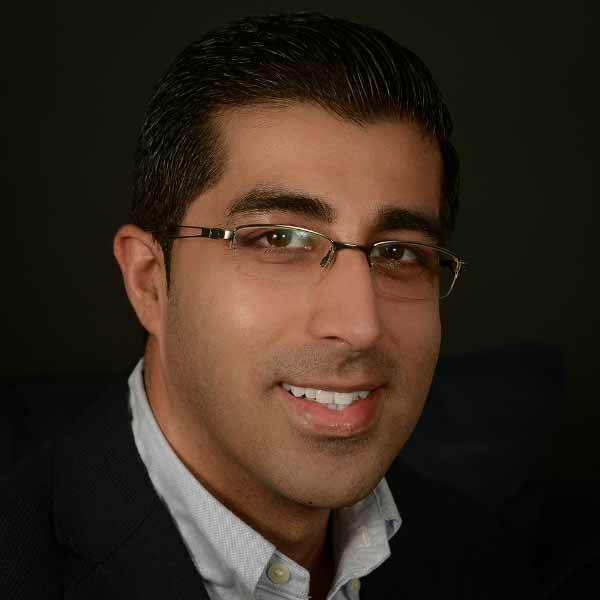 Bhavin’s skills as an Orthodontist are informed by his significant experience, his formal training and a natural professional and caring approach. He ensures his patients are always updated on their treatment progress. In addition to his work with the multi-disciplinary team at 42 the dental practice, Bhavin works as a Consultant Orthodontist at Milton Keynes University Hospital and at Northwick Park Hospital. He also lectures to postgraduate orthodontic registrars in training and takes an active role in the BDA as a treasurer for the Ealing, Acton and Chiswick Branch.